The top court of the country sustaining its legal observations on the SC/ST (Prevention of Atrocities) Act concerning its abuse decided to modify two significant provisions last week. Intervention has been sought on behalf of the PM, Narendra Modi by Dalit lawmakers. Dalit community showing its displeasure over the recent order of the Supreme Court stated that the ruling breaks the very foundation and objective of the Act which is the protection from atrocities. 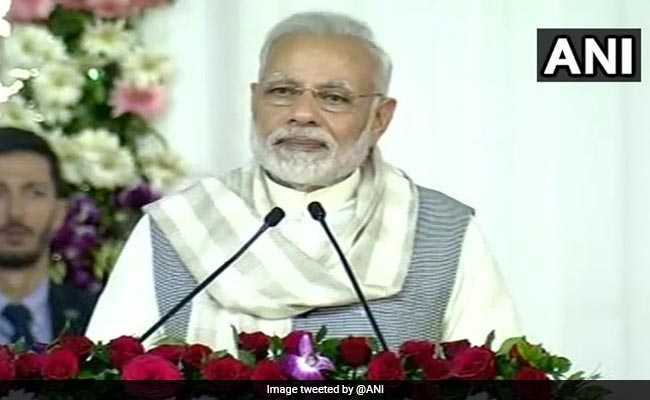 And with the aid coming in from Prime Minister, Narendra Modi’s office to voice the opinions of Dalits the Government is seeking to file a petition, requesting the court for a reconsideration of its order, Union minister Thavar Chand Gehlot told NDTV. The Law Ministry has been requested by the Social Justice Ministry through letter to examine the factors in filing of a review petition. The petition would be finalized after a joint meeting between the secretaries of the two ministries, Mr Gehlot told NDTV. A delegation of Dalit lawmakers from the BJP and its allies, led by Ram Vilas Paswan had met the PM yesterday and the PM’s office has sought to intervene now. The prime ministers assurance for welfare of the Dalit Community came about after the meeting concluded. A different delegation also had a meeting with President, Ram Nath Kovind. The Supreme upholding its observation ruled that the SC/ST (Prevention of Atrocities) Act law was being misrepresented and therefore decided to amend two important provisions of the law last week. The court stated that on several occasions, the law was being taken advantage of in preventing public servants in discharging their duty and stopped the immediate arrest of anyone accused under the law and also introduced a provision for bail. The Dalit community believed that the decision depended on two vital aspects which are regarding the high rate of atrocities on the community and an extremely low rate of conviction and would have taken a different course and been poles apart if the Union government had stressed upon the same. It was further opined that weakening of the law at the moment raises issues of safety and welfare of the community. The Congress was in favour of reconsideration of the order by means of a review petition, and said that the government had failed in performing its duty which indicates the callous attitude of the BJP towards the welfare of the Dalit Community. A few members of the BJP conveyed its worry for the need of a swift action in absence of which the issue may be reduced to only a political debate.